Ryan Babel said that Liverpool has progressed under Jurgen Klopp and he believes that the club should be ready to challenge for the title next season. He said that Jurgen Klopp has achieved a great job at Liverpool and that he has given fans back trust in their team. Ryan Babel stated that it had been a long time since Liverpool has been the Champions of England and he believes that Jurgen Klopp is the best manager to achieve this. He said that there is a sense of belief around the team that they can beat the best team and he believes that this mentality will improve as they continue to win games. He is confident that Klopp will bring in some new players during the transfer window and that will further improve the team. He said that the team is currently short in some areas and it is important that the manager addresses those issues especially if they are going to participate in the Champions League next season. The former Liverpool winger has urged fans to remain behind their team as he feels that there are greater things ahead for the club. He said that the club already has some great players and that they only need to strengthen in some departments if they want to compete for the title. He thinks that Klopp may have already identify some players that will suit his playing style and make the team stronger for next season. 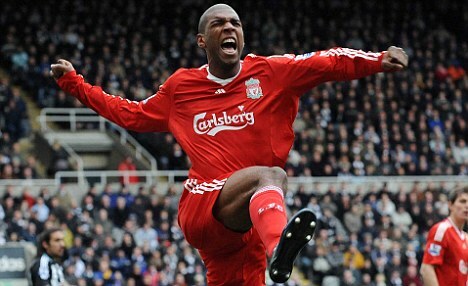 Ryan Babel said that he had spent some great times at Liverpool during his stay in England and he is always following the club whenever he has some free time. His only regret is that he could not win the Premier League with the Anfield side as he thinks that the fans deserve it.